Dressing for work can be hard y’all! I don’t know about you, but I find that picking out the right clothes to wear to work everyday is so burdensome. Especially when you are in a new position or environment. In my full time job as a corporate technology consultant, I need outfits that are versatile and can go from a business formal client environment one day to a more relaxed business casual office. 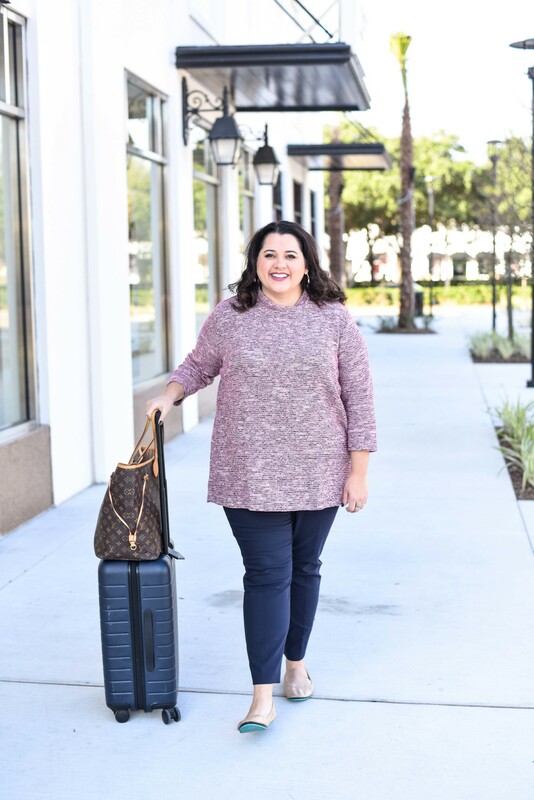 Gwynnie Bee is one of my favorite places to go for workwear because they allow me to try new trends in the office without breaking the bank and I ultimately have an unlimited wardrobe (aka. I can always change it up and keep my co-workers on their toes). SIDE NOTE – If you haven’t heard of Gwynnie Bee, they allow you to borrow a certain number of pieces at a time (based on the subscription you choose). Once you wear it, you can send it back (dirty and all – they’ll clean it before sending it on to the next fashionista) or keep it for as long as you want. They even have an option to buy that item at a discounted rate. Think of Gwynnie Bee as the (original) Netflix for clothes….and, if you’ve seen my previous Gwynnie Bee posts, you may remember they were dedicated to the curvy lady – well, lucky for us – they now are size inclusive and offering the service for sizes 0-32! If you don’t know what the dress code, always dress more formal – it’s always better to be over dressed than under-dressed (it’s just so awkward). I always abide by the old adage, “dress for the job you want, not the job you have.” This may lead me to be a bit more dressed up than my co-workers or clients, but it helps me to feel confident (which is ultimately the most important part of any outfit). 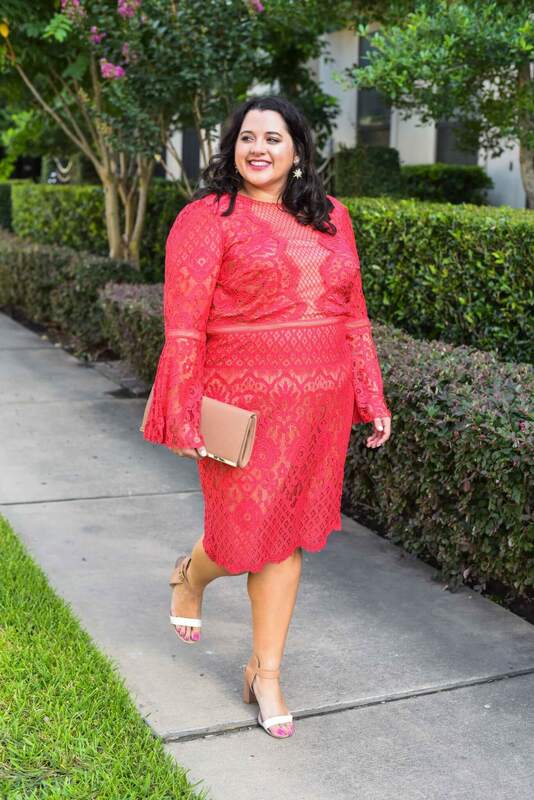 Find pieces that are flattering without being too revealing – if you’ve been following SGSB for a bit, you may know that V-neck tops generally don’t work for my body, so I typically avoid them at work (unless it’s the cute faux wrap dress featured in the pictures and I paired it with a camisole to make it more work appropriate). Ultimately, it may take some trial and error to find what works for you, your body and your style; luckily, Gwynnie Bee’s subscription service will help you try pieces for a day and really start to get a feel for what works for you. Once you find the silhouettes that flatter your figure (aka. your go-to styles) and work for your office environment, shopping (or closeting items with Gwynnie Bee) will start to become a breeze because you can instantly know what will work and won’t work. 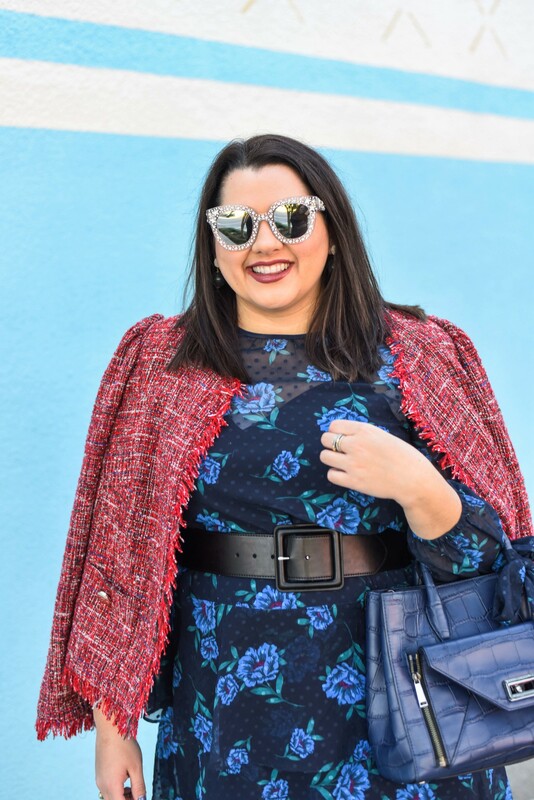 If you take a close look at the 5 outfits in this post, you’ll notice that 4 of them have the same silhouette – it tucks in a my waist (either via the belt or the peplum) and then has a bit of a flare – this is my go to style. ALWAYS, always add color – Y’all, I used to steer clear of color when I first started my career. At that time, my office was on the more formal side of business casual (aka. no jeans, and blazers were given priority). I thought that being professional meant I wore dark colored suits, dresses and slacks. Everything (and I mean everything) was centered around a black wardrobe. 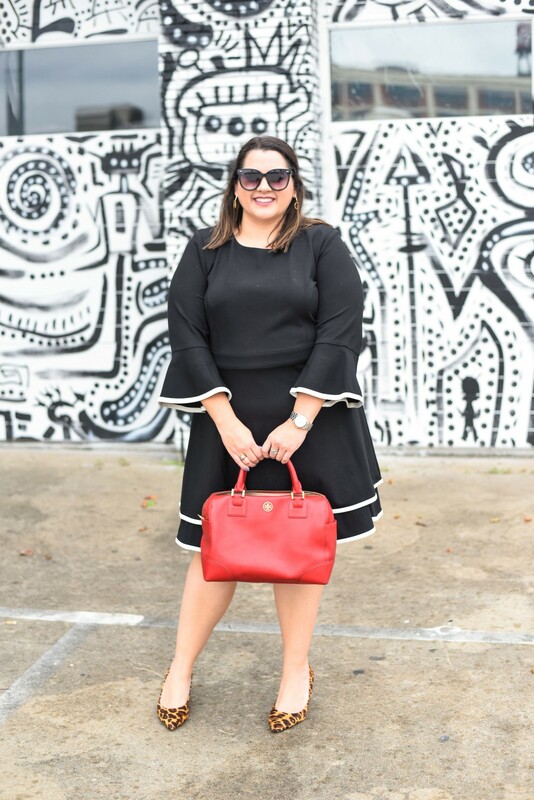 I almost had it down to a uniform – it was black slacks with a top, black cardigan, black tote and black shoes – y’all, it made me seriously so sad because I love to wear color. After a year, I realized that being professional didn’t mean I couldn’t wear colors or prints, it just meant that I had to wear them in more classic silhouettes when I was in a more formal environment. 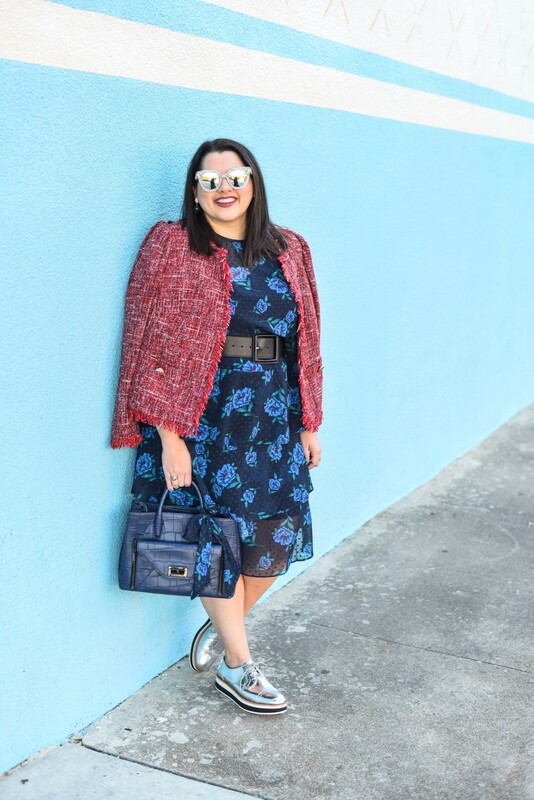 As you can see from some of my recent Gwynnie Bee outfits in this post, I tend to wear a lot of my favorite color, blue (I guarantee you there is no coincidence with the name of this blog… hehe). In addition to providing an endless wardrobe, Gywnnie Bee is also partnering with Year Up to help students 18-24 years old from lower income homes prepare and land internships at some of their dream companies – how cool is that? It’s hard to believe that it’s been a little over 10 years since I had my first internship and I am so grateful for the mentors that I had along the way. I know how important having this guidance can be to help set you up for success and it makes me love Gwynnie Bee even more for supporting and organization like this. What’s one piece of advice – style or professional related – that you would want to give your younger self? Let me know in the comments below!